Dentist Dr Stephen Suster has a keen eye and skillful hand when it comes to cosmetic dentistry. Each of our smile makeover patients can confidently access cosmetic services that meet their goals, concerns and budget. Recontouring – Reshaping the teeth can help them appear more consistent in size, especially if they are quite large. It’s often used in combination with bonding and gum recontouring for a dramatic impact. Bonding – Perfect for closing spaces such as gaps between teeth, and building up areas of uneven, chipped enamel. The tooth-coloured resin is shaped and bonded into place in just one appointment. 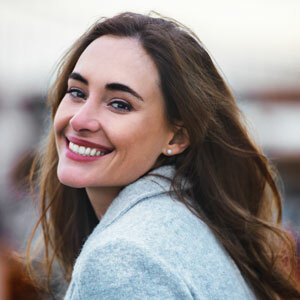 Gum Lifts – For gummy smiles or uneven gumlines, Dr Suster uses a dental laser to reshape and even the gingival margins so that they are healthy and complement the appearance of your smile. Dental Veneers – We offer two types of veneers to choose from. One visit, direct resin veneers are designed by Dr Suster and placed in a single appointment. Traditional porcelain veneers offer maximum aesthetics, durability and stain resistance. With porcelain veneers, we will provide a temporary resin to wear while your permanent veneers are being made. Ask about our diagnostic model prior to treatment to see how your new smile will look! Your smile makeover can be as simple or as dramatic as you want it to be. Dr Suster works closely with you to determine what changes you would like to have made. In certain cases, we can even create a customised model of your proposed treatment so that you can see what your new smile will look like before we get started. Stop hiding your smile or feeling too embarrassed to show it off in pictures. Contact Vision Dental today to schedule your consultation at our Menai clinic. Payment plans are available.